Buffy Sainte-Marie photo © Lois Siegel. Used with permission. 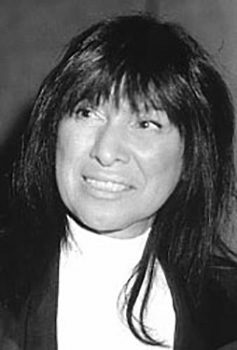 Academy Award winner Buffy Sainte-Marie was born at the Piapot (Cree) Reserve in Saskatchewan, and raised in Maine and Massachusetts. She has a degree in Oriental Philosophy, a teacher`s degree and a Ph.D. in Fine Arts, all from the University of Massachusetts. She became famous in the early 1960s for both love songs and protest songs. Learn more about Buffy Sainte-Marie.